At the start of last week I realised I was running very low on my MAC Studio Sculpt foundation. After hearing so much online about the Charlotte Tilbury Magic Foundation, I decided that is the foundation I need to purchase next. I have only ever really stuck to my MAC Sculpt foundation over the last 10 years, so I don’t have a large collection of foundations at all. I can't get to a Selfridges until next week, so I decided to try a drugstore foundation to keep me going for the next week. As I have recently heard quite a bit about Collection make up and have never tried any of their range I thought I would give one of their foundations a go. 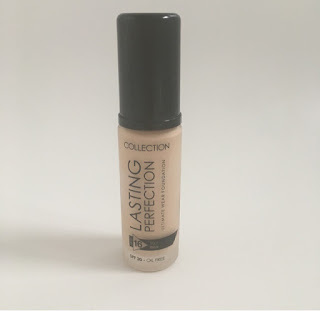 After debating for a while, I decided to purchase Collection Lasting Perfection Ultimate Wear Foundation in the ivory shade 2 for only £5.99 from my local Boots store. I have been using it now for a few days and thought I would share my views on the foundation for you. 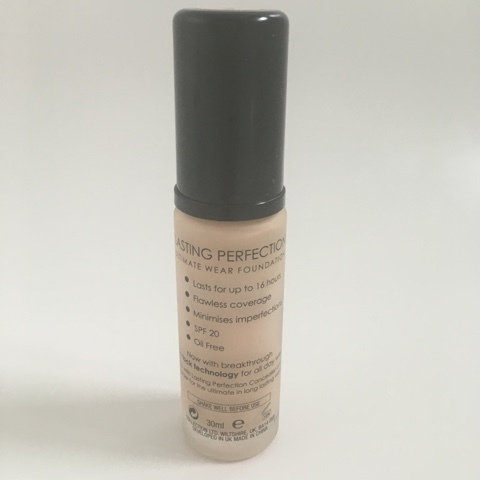 The foundation claims to prime, conceal, cover, smooth, protect and mattify, therefore providing a flawless coverage with an innovative skin lock technology. I like the packaging of the product. It is a simple design with a pump which I love as I find if foundations come without a pump, applying the foundation can be a little messy. You only require a small amount of the product to cover your face and it comes out very smooth. I found I did need to blend it more than I normally would with foundations and you do have to blend pretty fast and the foundation sets very quickly. 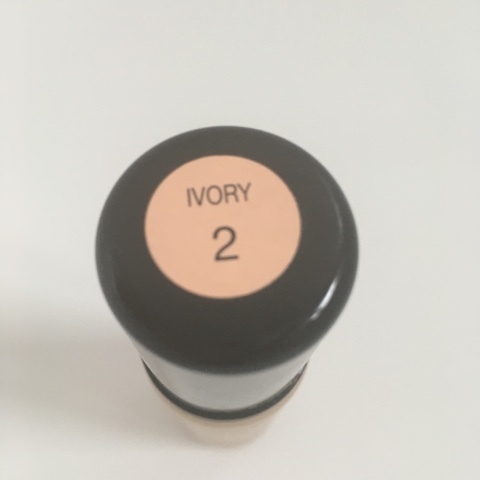 The coverage of the foundation is pretty good, it hid my red skin perfectly due to the yellow tone of the the ivory 2 shade. I could imagine it would be perfect for hiding spots too. The only problem I found is that if my skin was a little de-hydrated that day, the foundation did dry my skin out slightly and gave me a little caked on look. If your skin isn't dry, I wouldn't see this being a problem though. Did it last 16 hours? Unfortunately it didn't. Well to be honest, I don't think I actually wore the foundation for more than 12-13 hours but I found that after around 5-6 hours I needed a top up. I also love the fact that the foundation has SPF20 in it. I believe all foundations should have this as you can not protect your skin from sun damage enough. All in all I did like this foundation. 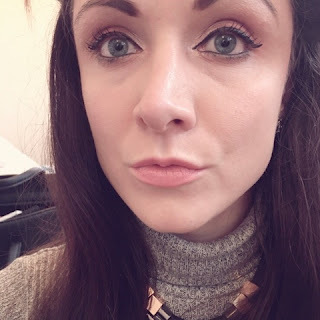 I admit it isn't as good as some of the high end foundations I have tried, but for wear just to go to the shops or lunch for a couple of hours, it is the perfect drugstore foundation. I have however heard lots of good feedback about the Collection Lasting Perfection Concealer which I need to try. Unfortunately they were out of stock in the colour fair shade 1 every time I have been to my local drugstore but I will buy it as soon as I can and let you know my opinion on this too. Has anyone else tried this foundation before? Are there any other good drugstore foundations you would recommend? I haven't used it, but it looks lovely on you! 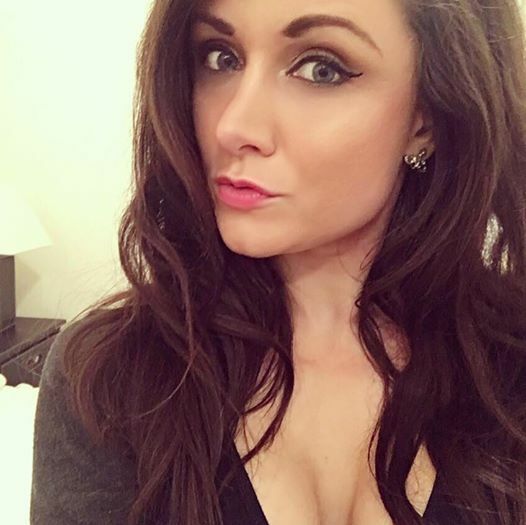 Great post cutie! Never tried the foundation, but I have the concealer waiting in my desk. i have never, but thanks for the review! i have dry skin so that would be an issue for me. The concealer is very good coverage plus it's really affordable, hopefully they'll have it back in stock near you soon! 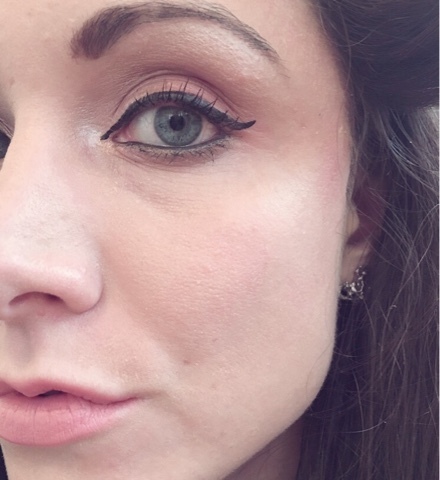 Great review, I love the concealer by Collection. I have a dry skin so I don't think this would be good on me. From the picture it looks good on you though.